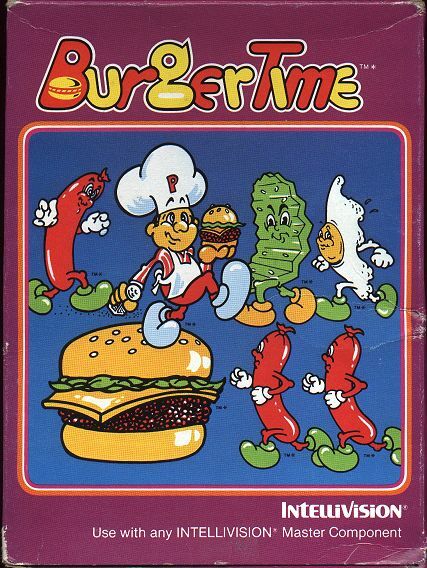 BurgerTime World Tour was developed by MonkeyPaw Games and produced by Konami Digital Entertainment. It was released November 2, 2011 for 800 MSP. A copy was provided for review purposes. BurgerTime World Tour is a remake of the classic 80’s platformer starring the lovable chef Peter Pepper. 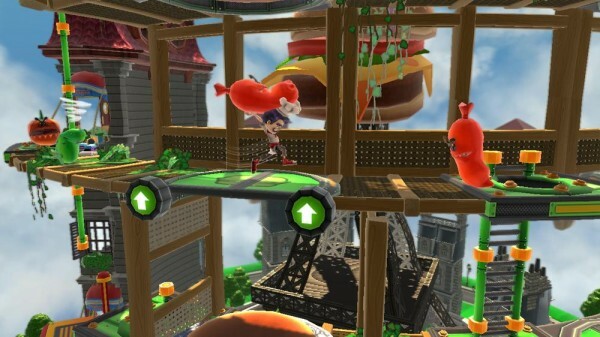 The simple concept of making a burger while platforming was intriguing and something no one had honestly really even thought of. In this remake all the classic features that made the original are back: building burgers, evil sausages, killer eggs, jumping pickles and more. As Peter Pepper (or your Xbox Live avatar) you must travel through several large 3D environments across several cities. Also included are boss battles and both local and online multiplayer.